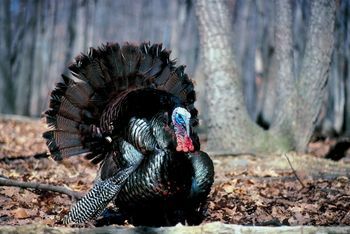 SAVANNAH, Ga. – The U.S. Army Corps of Engineers Savannah District will host two turkey hunts this spring at the Bussey Point Wildlife Management Area on J. Strom Thurmond Lake. Bussey Point is a 2,545-acre peninsula located at the confluence of the Savannah River and the Little River in Lincoln County, Ga. The peninsula normally is closed to public hunting with the exception of scheduled, limited management hunts throughout the year. The management area will be opened to all hunters on April 4 and April 5 and to youth hunters on April 12. All hunts will be limited to 10 individuals daily. Participants will be selected via a drawing. Hunters who are selected may bring a guide or guest; however, guests are not permitted to carry weapons. To participate in the drawings, hunters must submit a letter requesting consideration for the hunt, including the desired hunt date, the hunter’s name, mailing address and daytime telephone number. Submit letters via email to kenneth.h.boyd@usace.army.mil or via mail to: Ken Boyd, U.S. Army Corps of Engineers, J. Strom Thurmond Project Office, 510 Clarks Hill Highway, Clarks Hill, SC 29821-9703. Submissions must be received at the Thurmond Project Office by 4:30 p.m. on March 21. Shotguns may be used for all turkey hunts. For the youth hunt on April 12, hunters must be 15 years of age or younger and must be accompanied by an adult. The adult must be licensed in accordance with the Georgia hunting regulations and will not be allowed to carry a weapon. Directions to Bussey Point: From the Hwy 47 Little River Bridge in Lincoln County, Ga., go north 1.8 miles and turn right on Ashmore-Barden Road. Go 3 miles to the stop sign and turn right on Double Branches Road (Hwy 220 Spur). Go 3 miles until pavement ends. Continue straight on dirt road 0.5 miles to check station and parking area. For additional information, contact Ken Boyd at the J. Strom Thurmond Project Office at 1-800-533-3478 extension 1159 or (864) 333-1159.